Get everything you need for unified threat management at a great price with the Firebox T30-W with Security Suite. 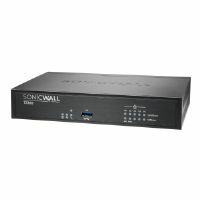 This bundled package includes the T30-W appliance, engineered for today's fast Internet connections, and delivering enterprise-class protection from malware for small businesses and branch offices. 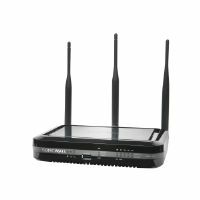 The T30-W has 5 GigE ports and 1 PoE (Power over Ethernet) port. The Total Security Suite delivers powerful UTM security subscriptions to boost protection in critical attack areas, including IntelligentAV, Threat Detection and Response, APT Blocker, Data Loss Prevention, Application Control, Intrusion Prevention Service, WebBlocker, Gateway AntiVirus, spamBlocker, and Reputation Enabled Defense, along with Gold level support. WatchGuard Dimension, for big-data style network visibility and Dimension Command - which enables management functionality - are also included.